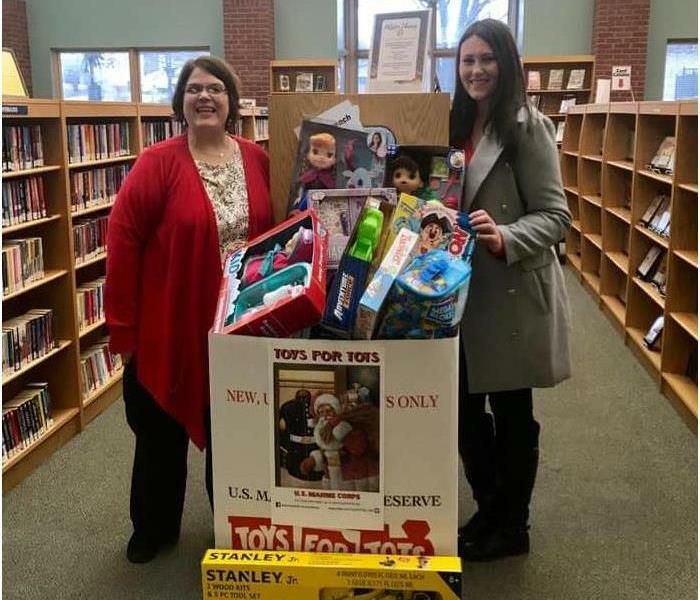 Thank you to the Pittston Memorial Library for being a Toys for Tots drop off site this year and for all the community donations! 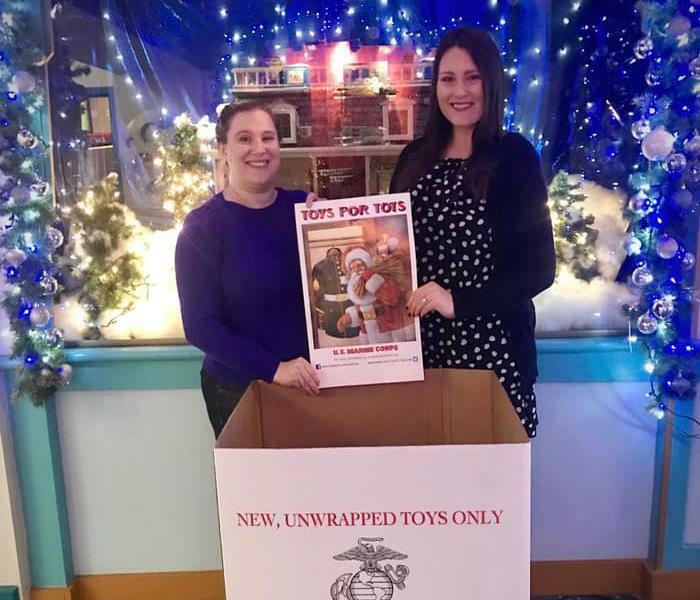 Thank you, Melissa Walter - State Farm, and the community for this year's Toys for Tots partnership! We’re grateful to be teaming up with four very generous community partners for this year’s Marine Toys for Tots Foundation. 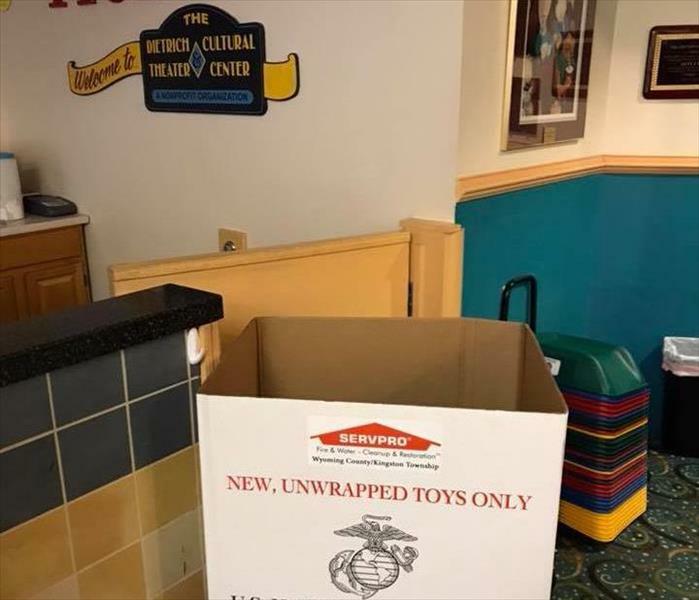 From now until December 20th, you can drop off an unwrapped toy at any of the following locations. Your generosity will help bring joy to less fortunate children in our area this Christmas! What a nice day, meeting some of the students at Luzerne County Head Start, Inc.! Thank you to The Hoyt Library for partnering with us for the back to school drive! 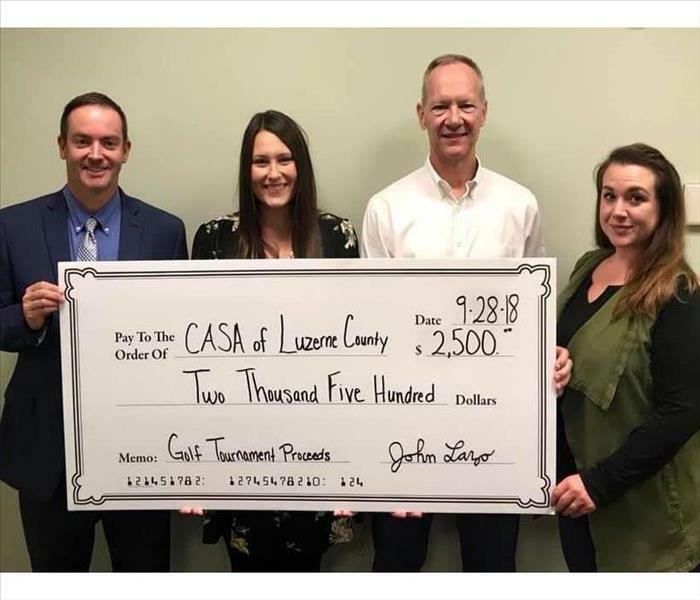 We were so grateful and excited to be able to present a check of $2,500 to CASA of Luzerne County. 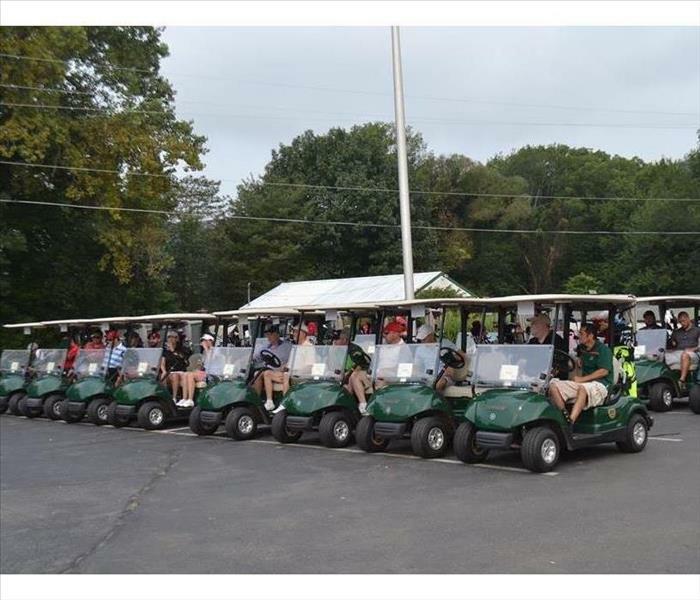 Thank you to everyone who made our first golf tournament a success! 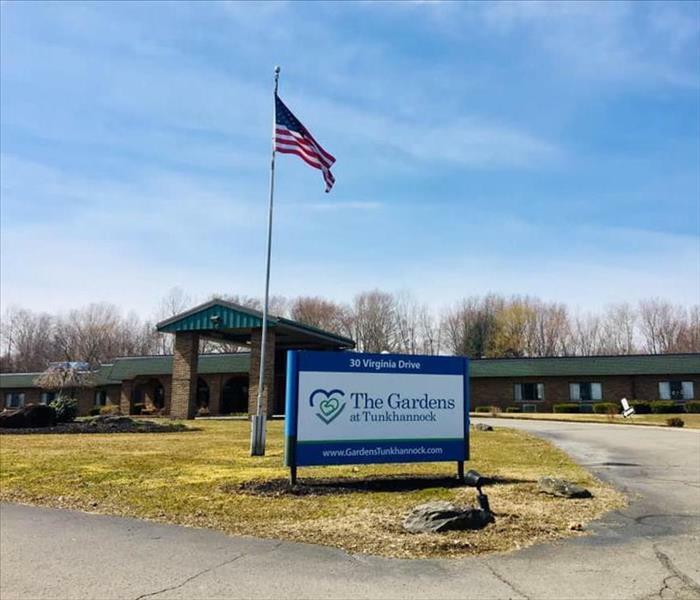 Your donations and generosity will assist this incredible organization in changing the lives of so many children in our community. 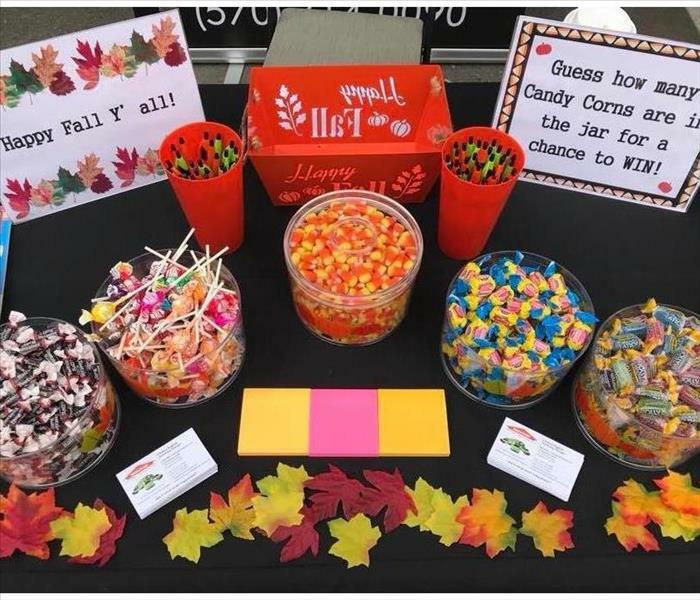 Congrats to our winner, Patrick, on guessing the closest amount of candy corns in the jar! 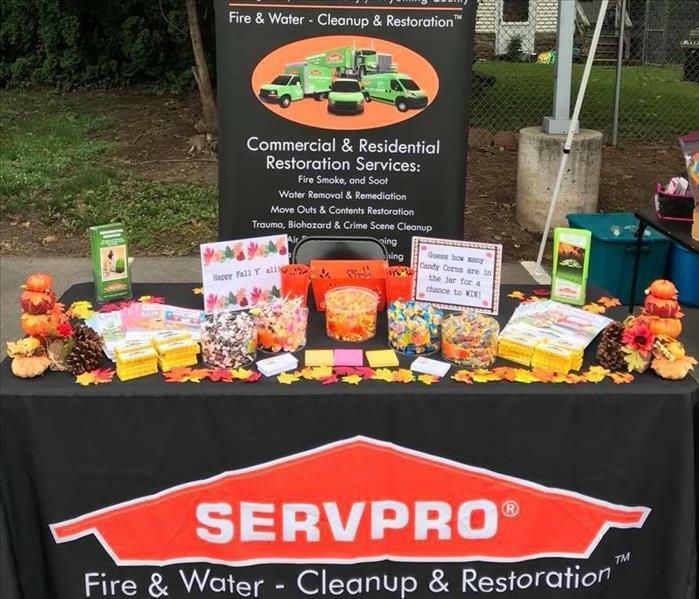 Fun day as a vendor at The Hoyt Library annual Fall Festival! Join us as we partner with The Hoyt Library to make going back to school a little brighter for children in our area! ?? It's important to remember after all the excitement from the start of a new school year eases, many less fortunate children are in need of additional supplies by the end of September. That's why we have decided to partner with the Hoyt Library for a Back to School Drive throughout September. 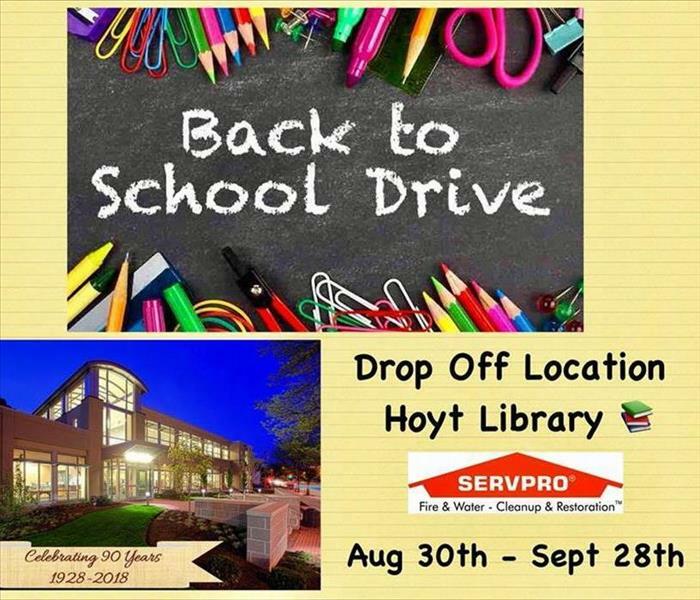 Until September 28th, you can drop off school supply donations to the Hoyt Library in Kingston. 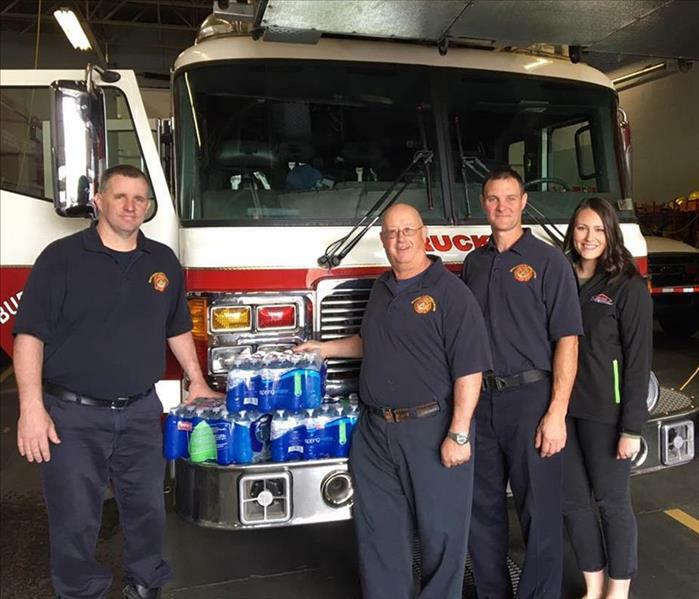 All donations made will benefit Luzerne County Head Start, Inc. As always, we are grateful for the generosity and support we see in our community! 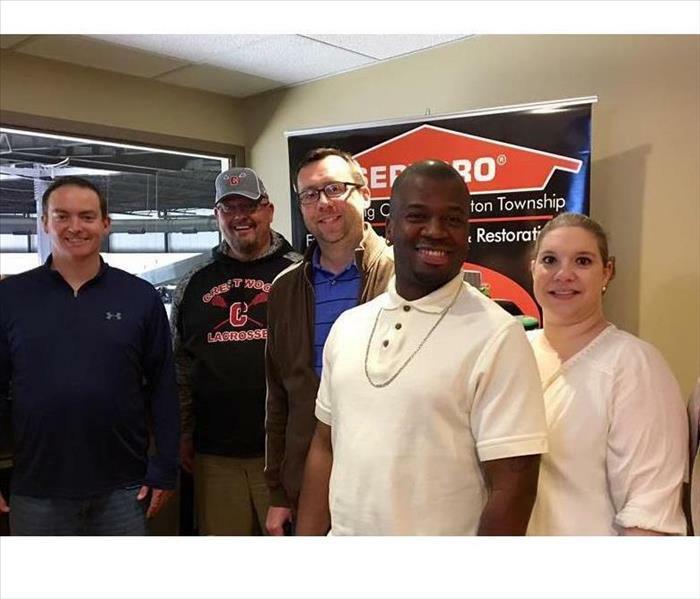 Our overall winning team with franchise owner, John Lazo and John Aciukewicz, Executive Director of CASA of Luzerne County. Golfers Headed out to the Course! 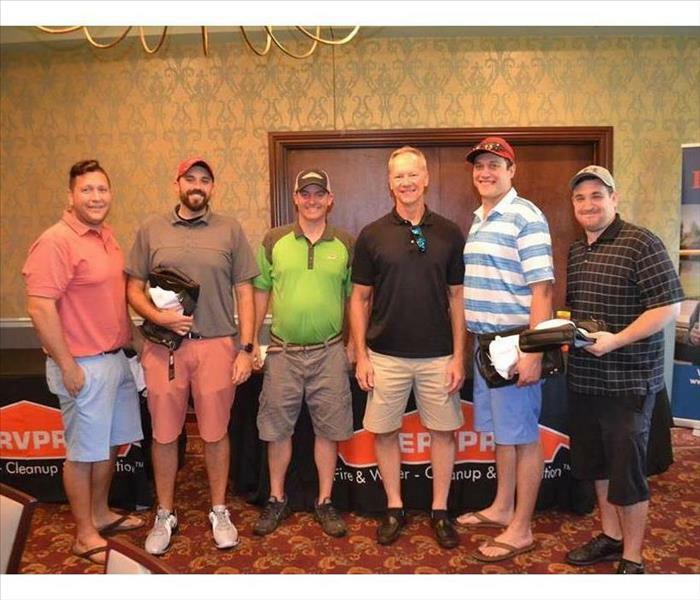 Thank you to our golfers for participating in the tournament! Our beneficiary for our first golf tournament hosted on Monday, August 27th. 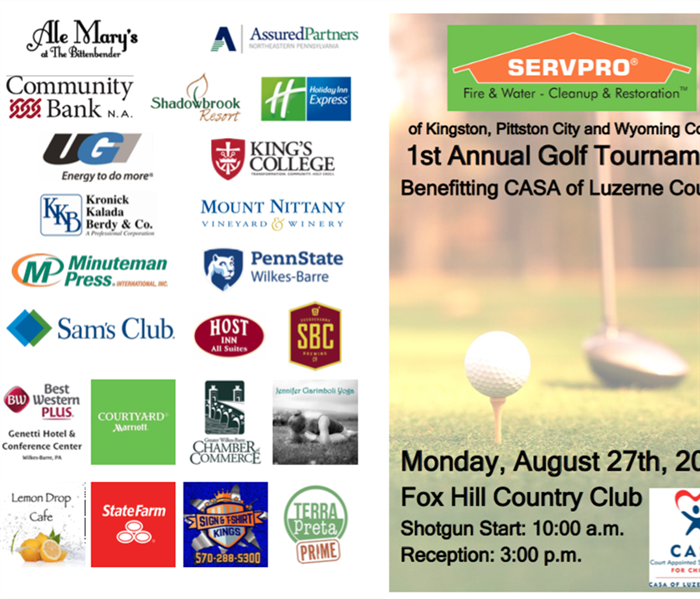 We want to say a HUGE thank you to all our sponsors for our 1st Annual Golf Tournament Benefitting CASA of Luzerne County! 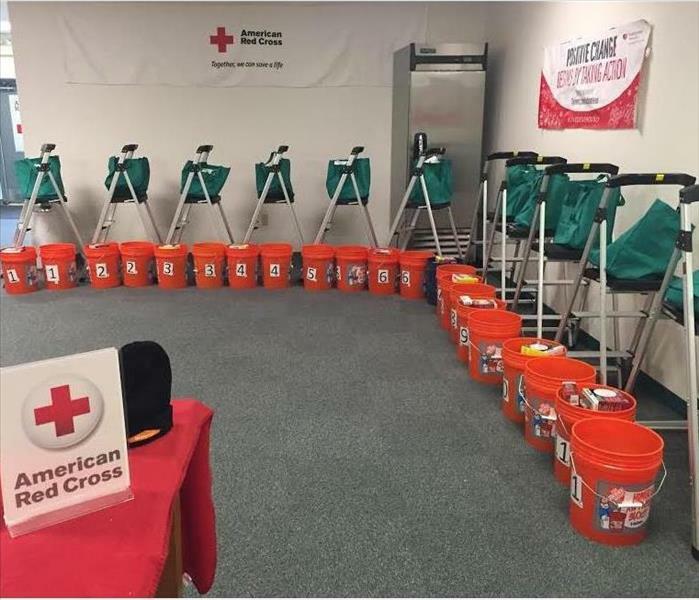 Your generosity will help make our first year a success for this wonderful organization! Happy to attend the 105th Annual Education & Training Conference at Kalahari Resorts! All set for our first CE course of 2018! 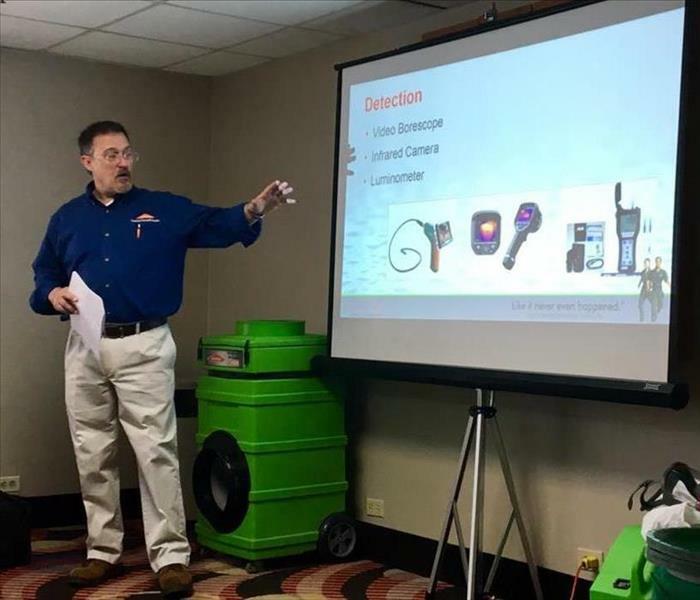 Our franchise owner, John Lazo, speaking to our CE course attendees about the equipment our team utilizes when responding to a fire. 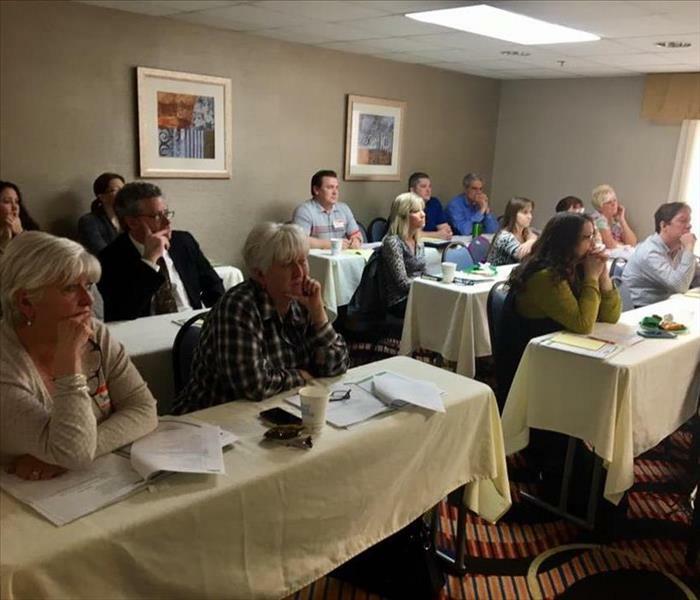 Local Insurance Professionals learning more about property fire damage restoration at our Continuing Education course! 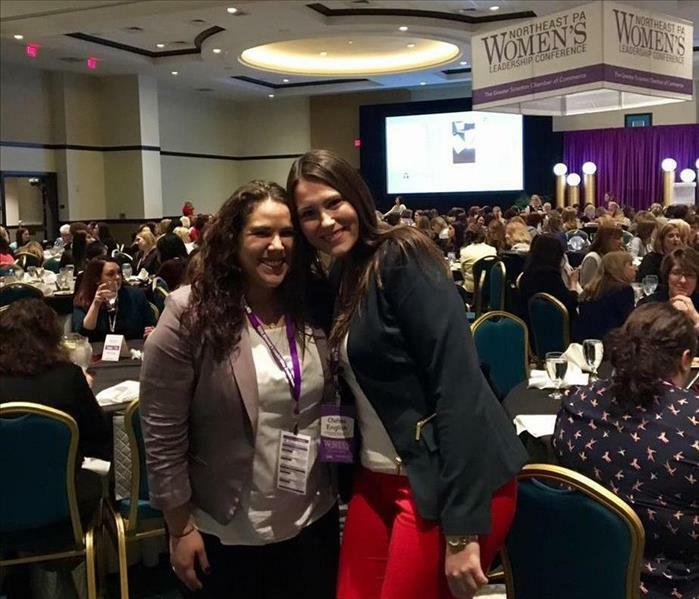 Celebrating 2 Years of Business! 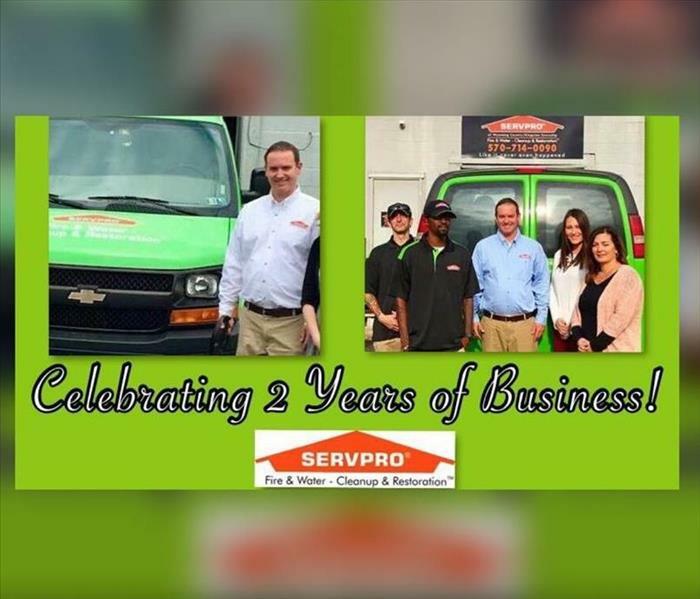 On April 27, 2018 we were very grateful to be celebrating two years of business! We couldn't have done it without our amazing customers, team, and everyone who has supported us in growing our business. We look forward to serving you for many more years to come. 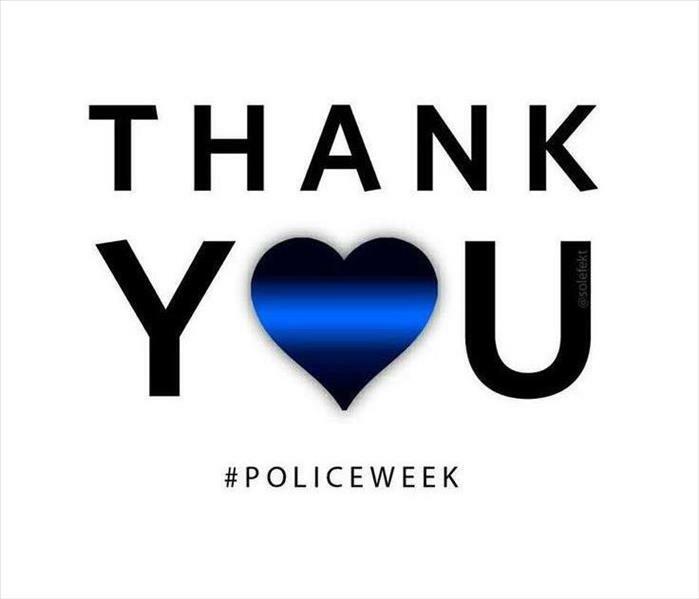 From the bottom of our hearts, Thank you! It was a gorgeous opening day at the Kingston Baseball Fields! 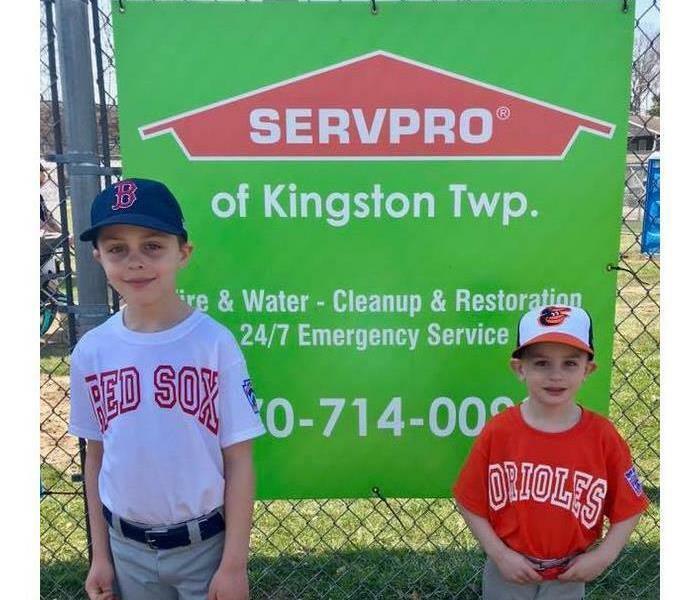 Our Marketing Manager's nephews were SERVPRO proud! 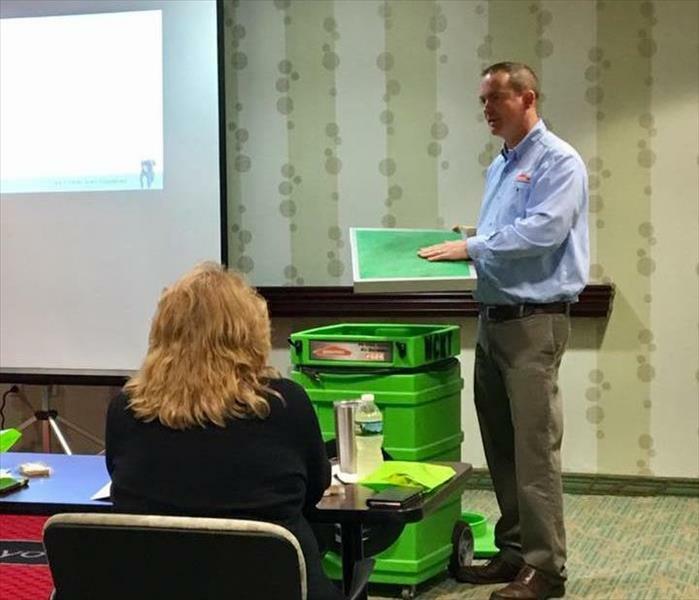 It was great to spend time with fellow franchise owners and learn more about commercial priority response! 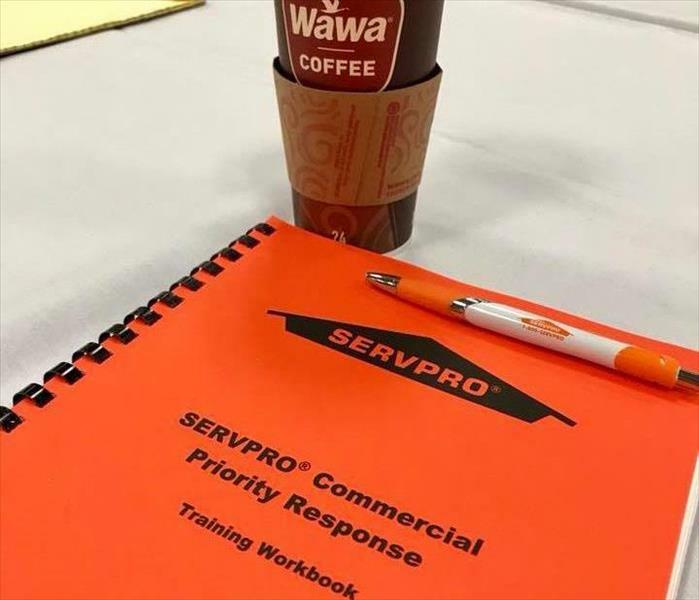 Ready to learn more about Commercial Priority Response here at SERVPRO of PennDel! 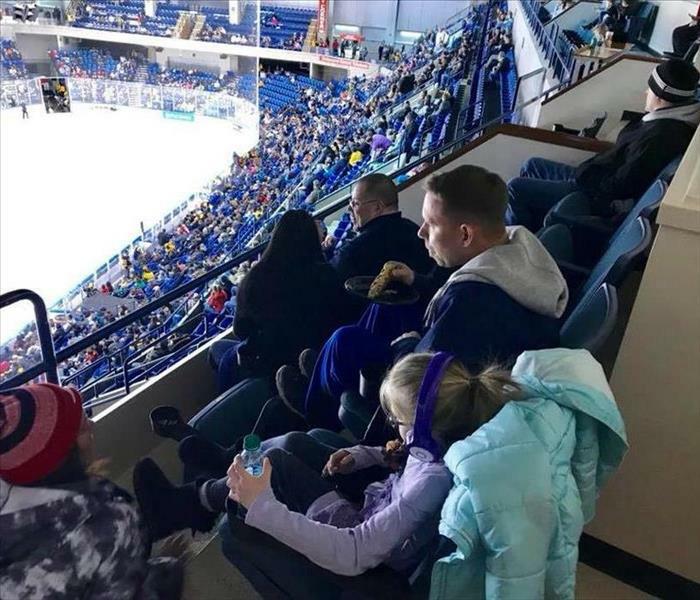 We had a great time at the Wilkes-Barre/Scranton Penguins game! Thank you to our clients who came out and made it such a fun night! PENS WIN! Words can’t describe how grateful we are for our partners and the exceedingly generous community this Holiday Season! 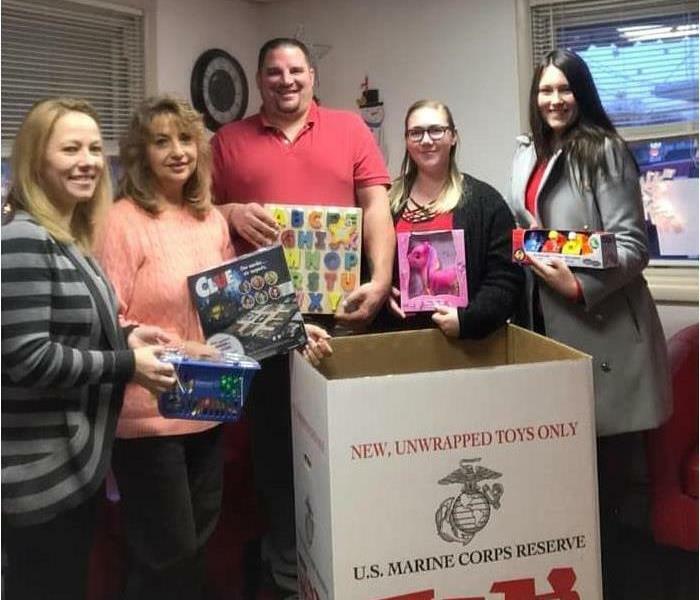 Thank you to J W Hoban & Associates, Dietrich Theater, and Frank Sorokach - State Farm Insurance Agent for being drop off sites for the Marine Toys for Tots Foundation this year. 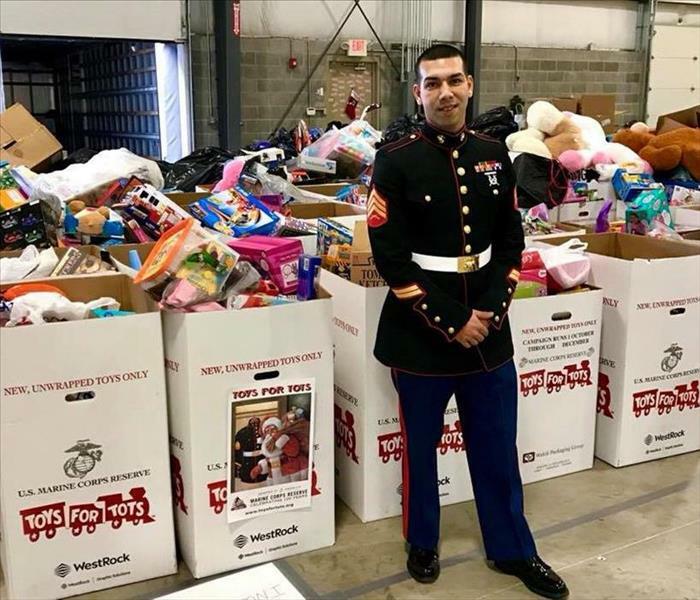 The support from your visitors, clients, and the surrounding community will definitely brighten the holiday season for local children in need. Thank you, Thank you, Thank you! Another great year with this fantastic organization! 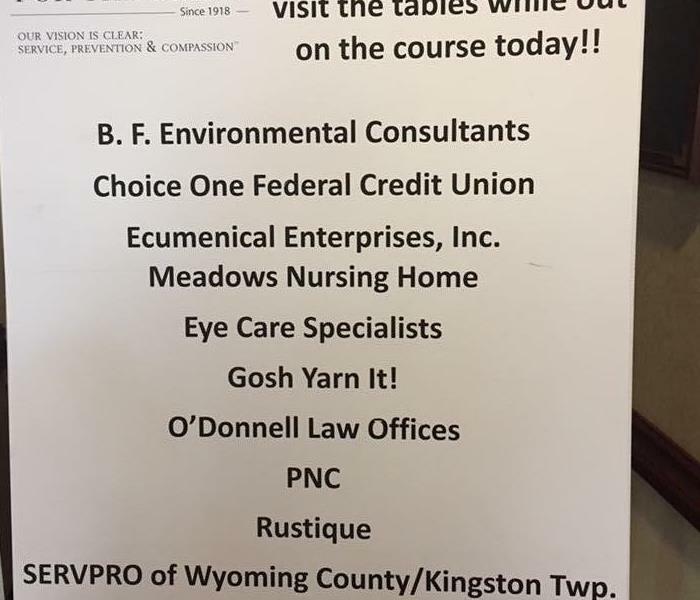 Thank you for all your support this past year, Wyoming County Chamber of Commerce! 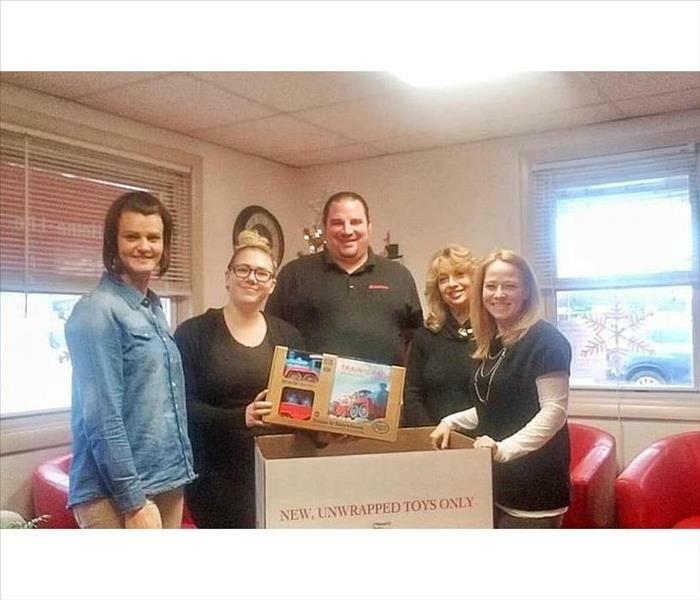 We are very honored and excited to partner with J W Hoban & Associates this holiday season! 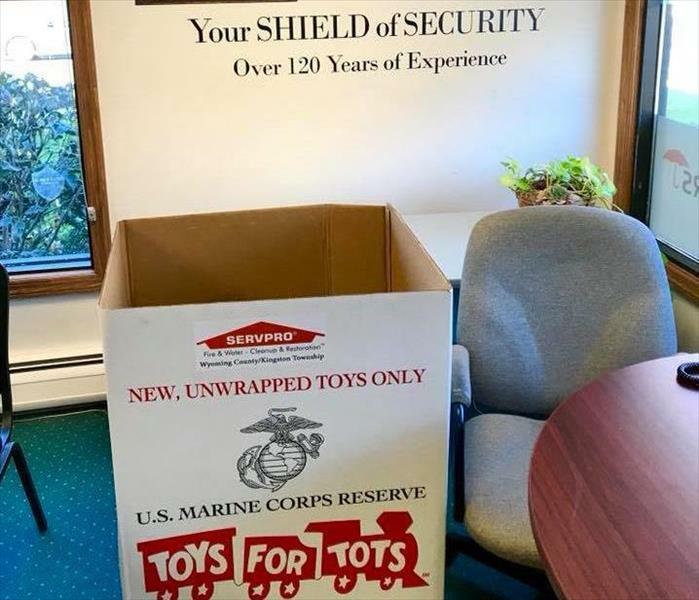 Please feel free to drop off an unwrapped toy to their office until Monday, December 18th. All toys will benefit our local Toys for Tots foundation. We appreciate your community support while giving to children in need this Christmas! We are very honored and excited to partner with The Dietrich Theater this holiday season! 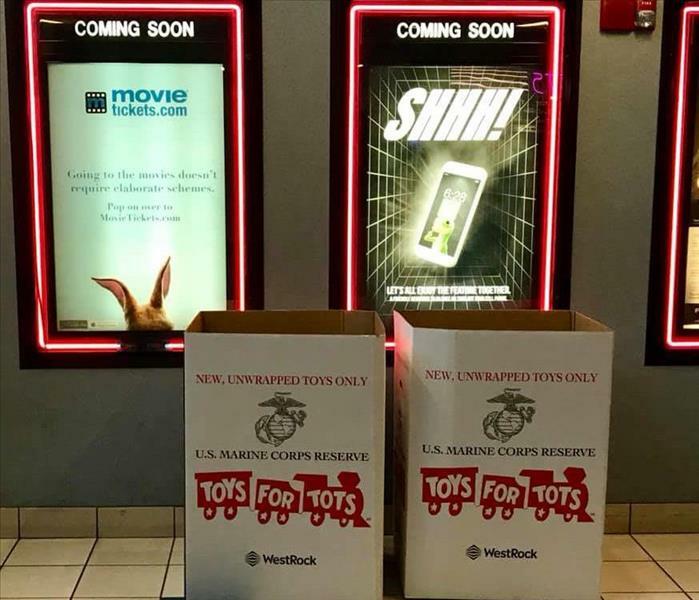 Please feel free to drop off an unwrapped toy to the theater until Monday, December 18th. All toys will benefit our local Toys for Tots foundation. We appreciate your community support while giving to children in need this Christmas! 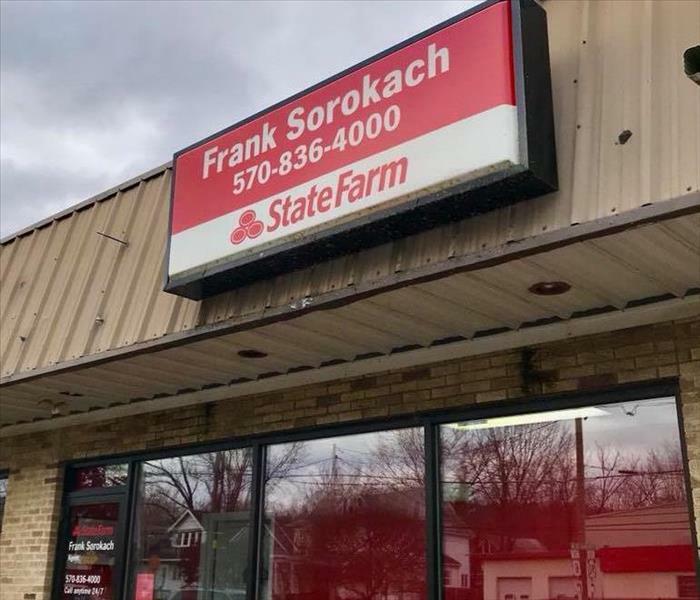 We are very honored and excited to partner with Frank Sorokach - State Farm Insurance Agent this holiday season! 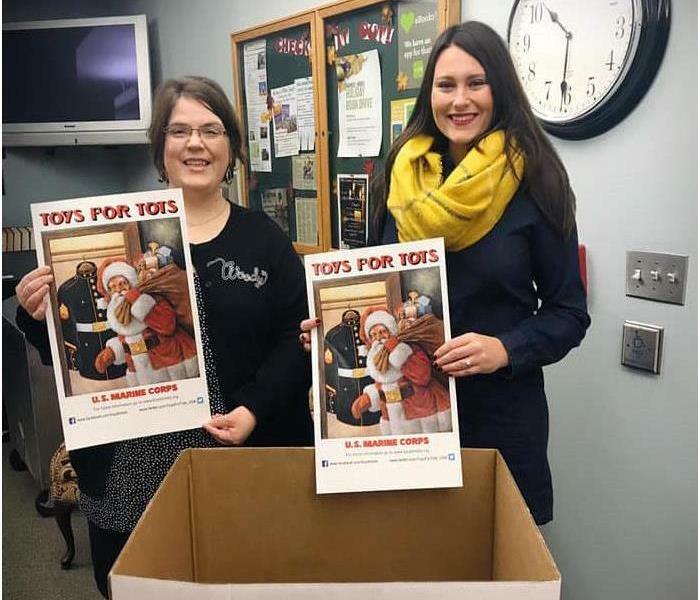 Please feel free to drop off an unwrapped toy to his office until Monday, December 18th. All toys will benefit our local Toys for Tots foundation. We appreciate your community support while giving to children in need this Christmas! 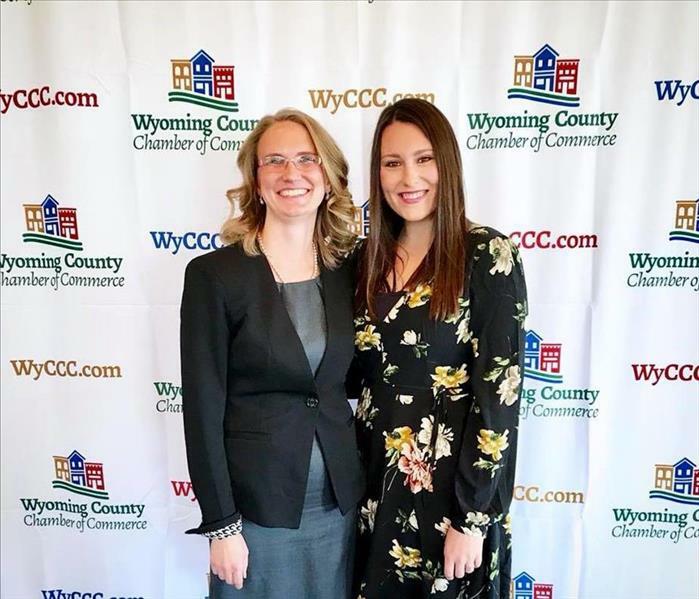 Thank you, Wyoming County Chamber of Commerce for hosting Chelsea as guest speaker for the August Educational Luncheon Series! 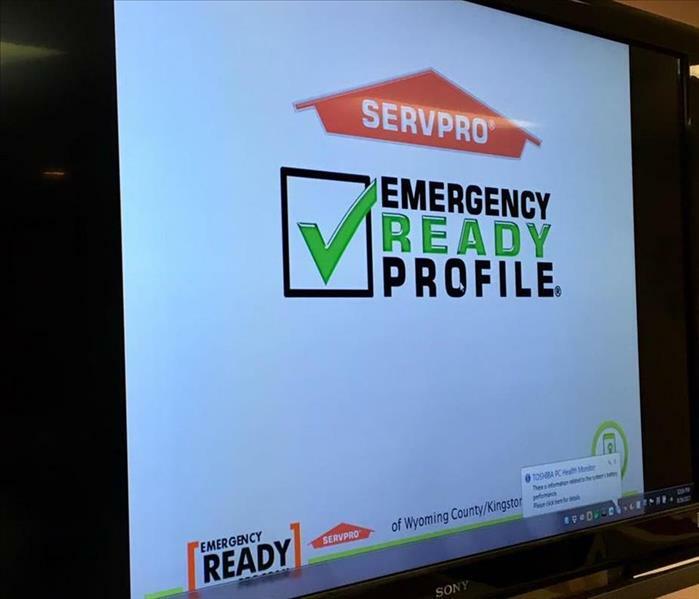 We appreciated the opportunity to discuss the benefits of the SERVPRO Emergency Ready Profile for local businesses in Wyoming County. 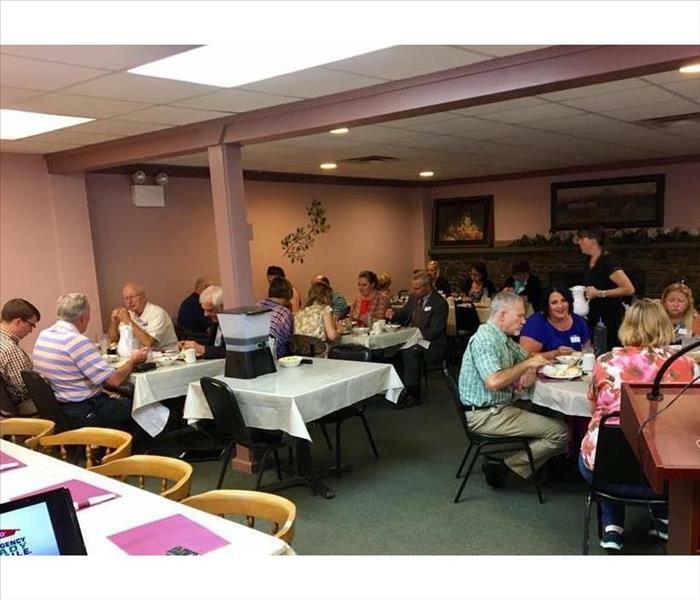 -- Thanks to all who attended, and also Purkeys Pink Apple for the delicious lunch! ?? It was a beautiful day for the 2017 Founder's Day! 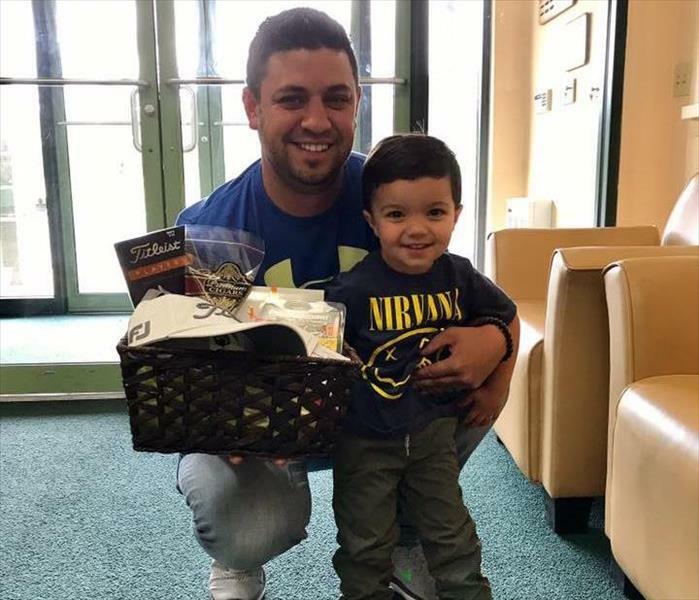 Congrats to our Raffle Giveaway winner, Jeff Zaruta! Looks like your mini - me is going to be a golfer one day too. Adorable! ???? 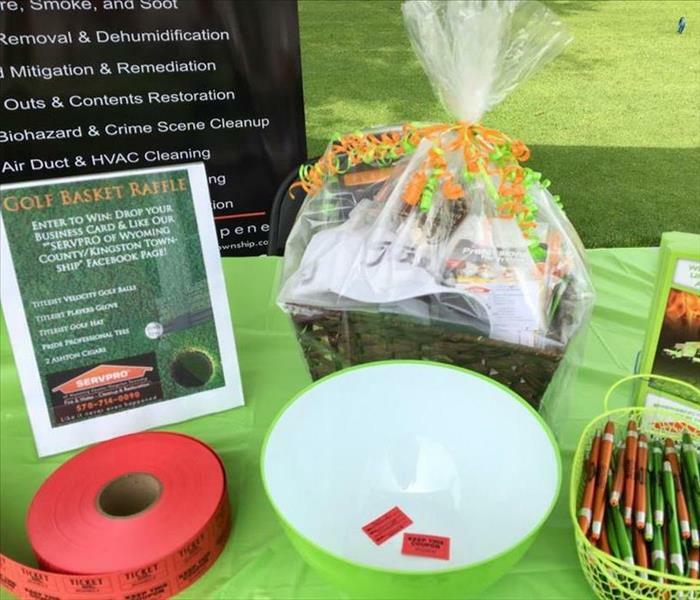 Thanks to all who entered our Titleist Golf Raffle giveaway at the 5th Annual Chip in for Sight Golf Tournament! We had a blast, and want to thank the Greater Wilkes-Barre Association for the Blind for having us. Congratulations to our winner, Jeff Zaruta! ?? 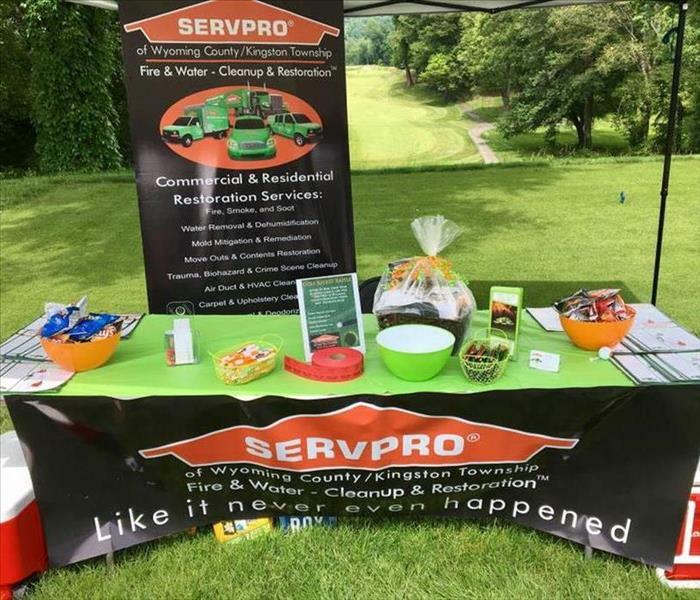 We had the honor of being a Showcase Sponsor for the 5th Annual Chip in for Sight Golf Tournament with the Greater Wilkes-Barre Association for the Blind on Monday, June 5th. 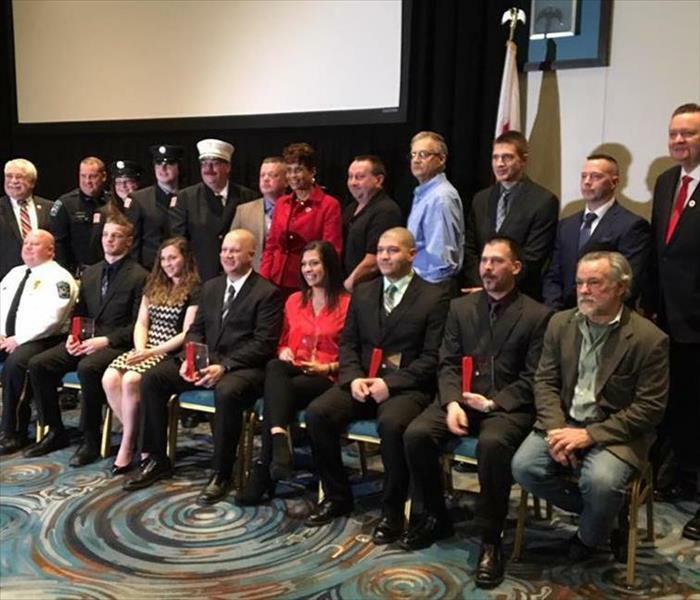 The organization raised over $46,000 for those who are visually impaired. We are very proud we could be part of it. 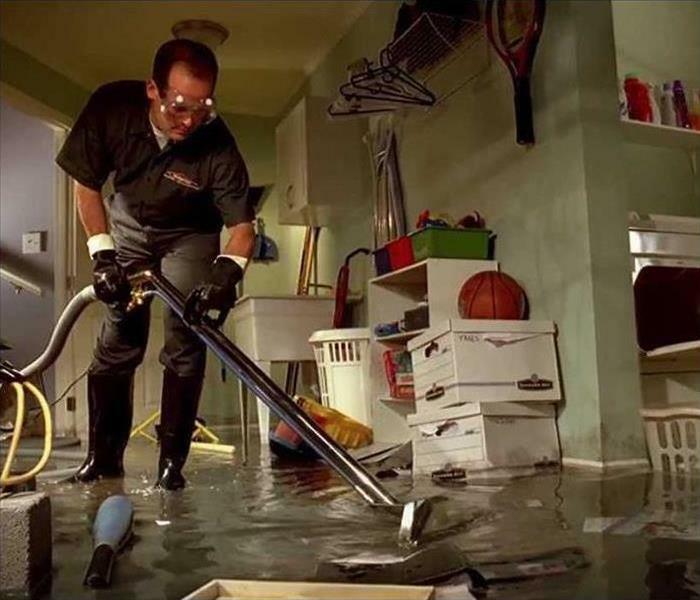 Our local insurance professionals learning more about restorative drying for water damage and biohazard cleanup. 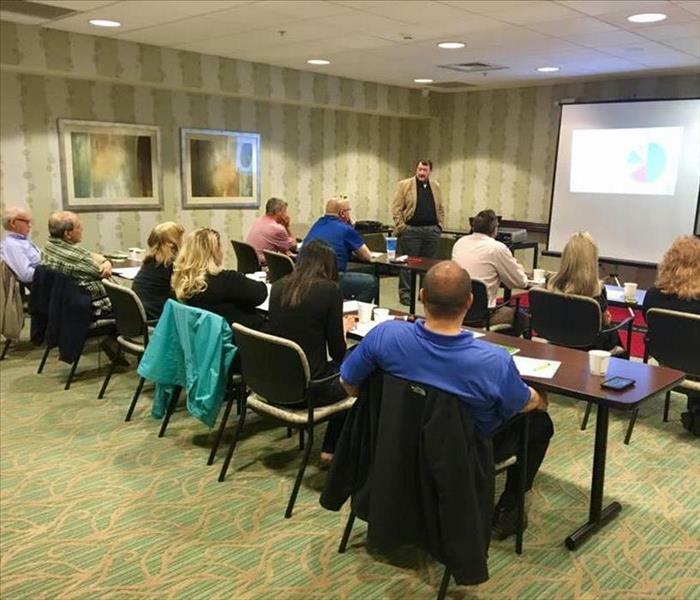 Thanks to all who were able to attend our first Continuing Education Course! 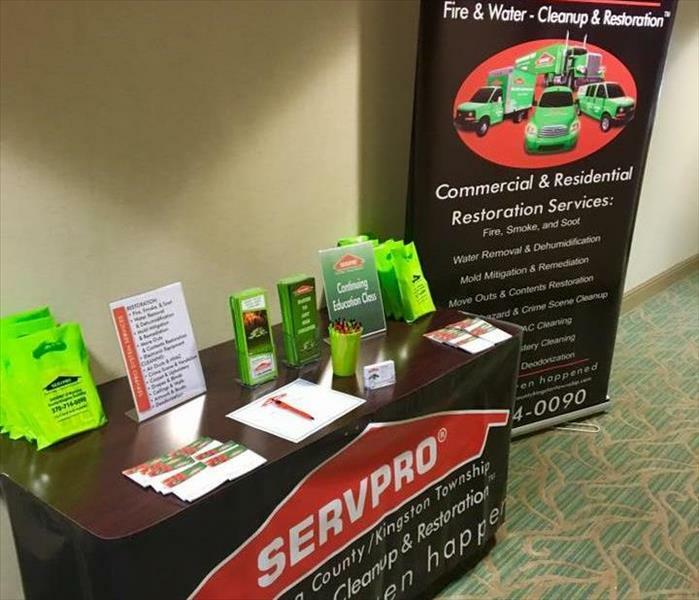 Also a huge thank you to our course instructor, Dan, our friends at SERVPRO of Wayne and South Lackawanna Counties, the Holiday Inn Express Wilkes Barre for hosting us, and The Appletree Terrace for catering our delicious lunch! It was a great day! 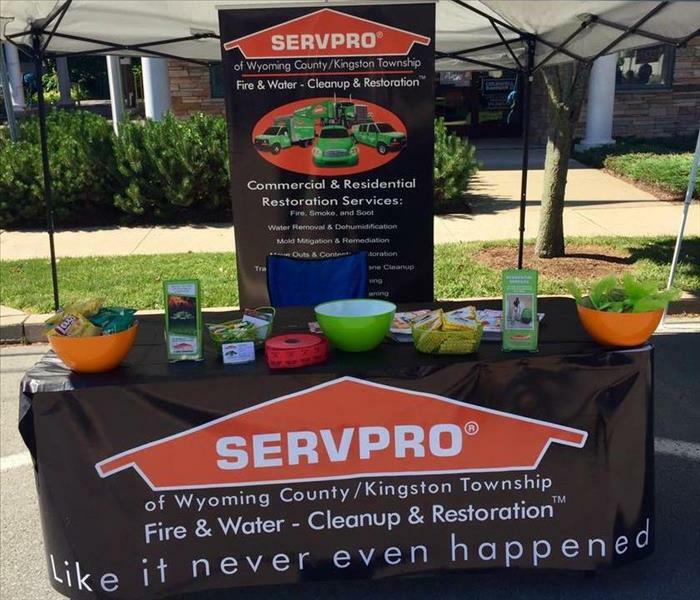 Thank you all who have supported our SERVPRO of Wyoming County/Kingston Township Franchise over the past year! 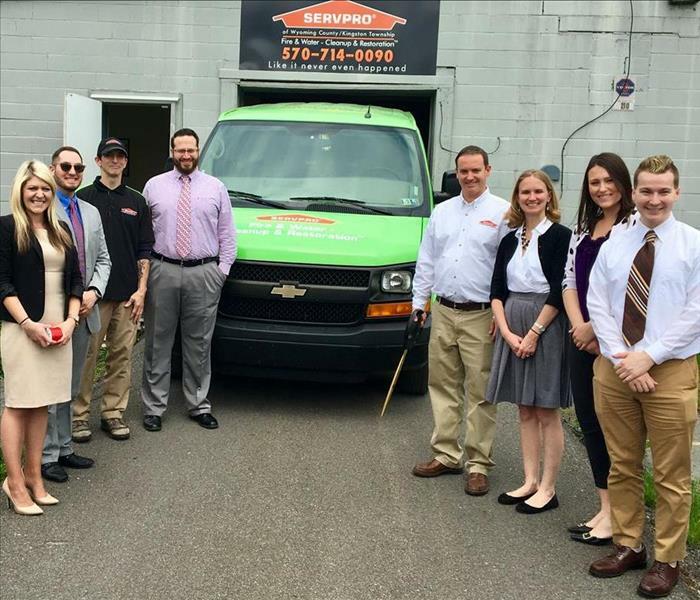 On Thursday, April 27th, SERVPRO of Wyoming County/Kingston Township celebrated our 1 year anniversary since opening our doors for business. 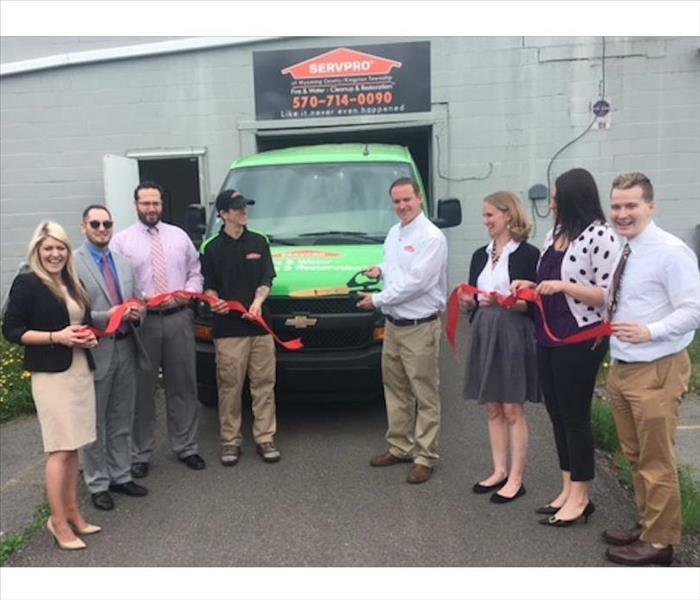 The Greater Wilkes-Barre Chamber of Commerce helped us host a Ribbon Cutting to recognize our new office location and one year of service. Our Marketing Manager, Chelsea, was happy to take part in the 21st Annual Community Reading Day! 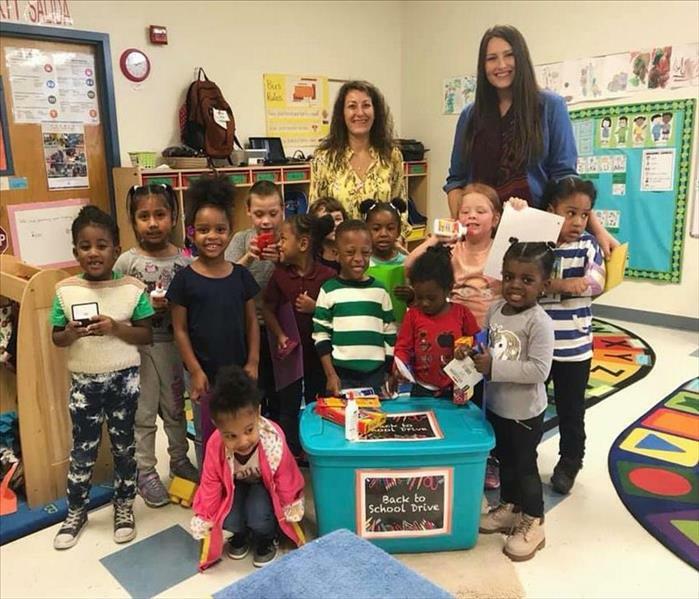 Thank you to the Greater Wilkes-Barre Chamber of Commerce, Chelsea had the opportunity to read "Count with Me" and "Girls on the Bench" to two local second grade classrooms. 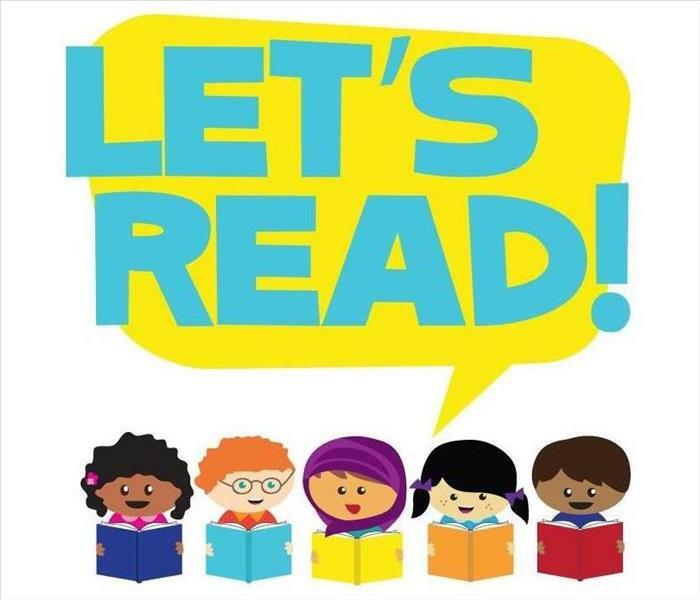 Community Reading Day helps promote literacy and encourage life-long reading and imagination with our next generation. We were happy we could share in their joy and excitement of reading! ?? Having a great time and learning a lot at our first NEPA leadership conference! 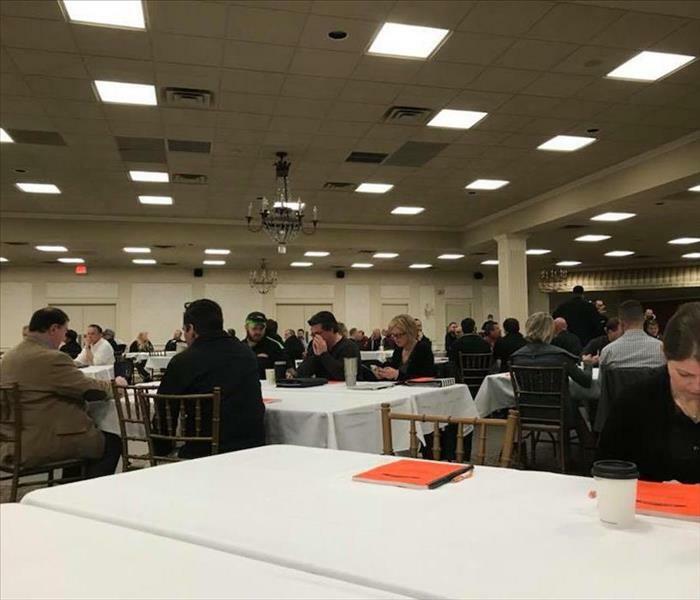 Thanks for having us, The Greater Scranton Chamber of Commerce! 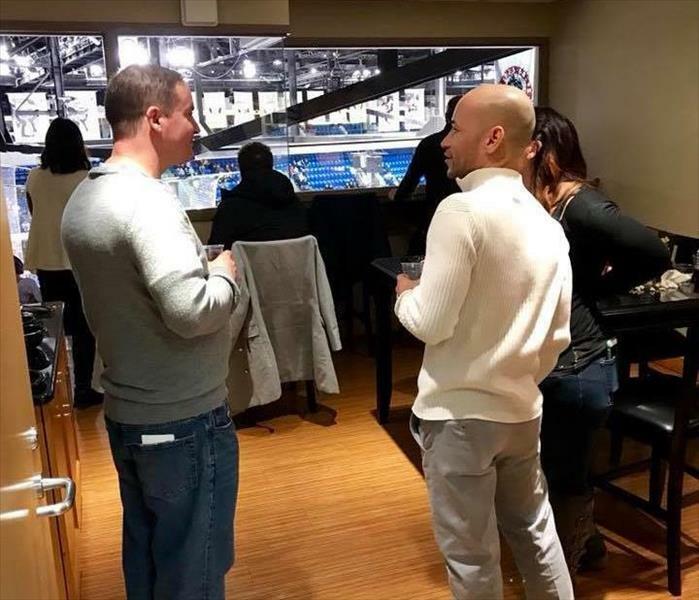 Thanks so much to our friends at J W Hoban & Associates and Allstate Insurance: Thomas Kulak for joining us for a suite night with the Wilkes-Barre/Scranton Penguins last night! We had a blast! 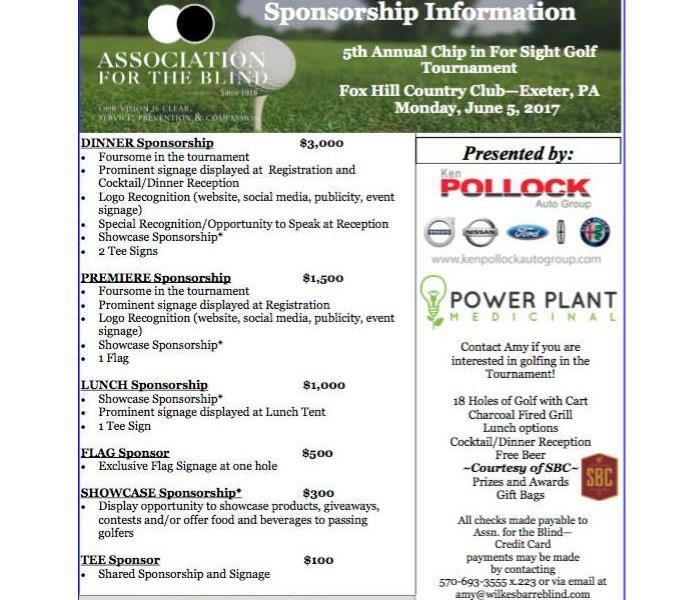 The Association for the Blind’s Golf Committee is preparing for its 5th Annual Chip in for Sight Golf Tournament. 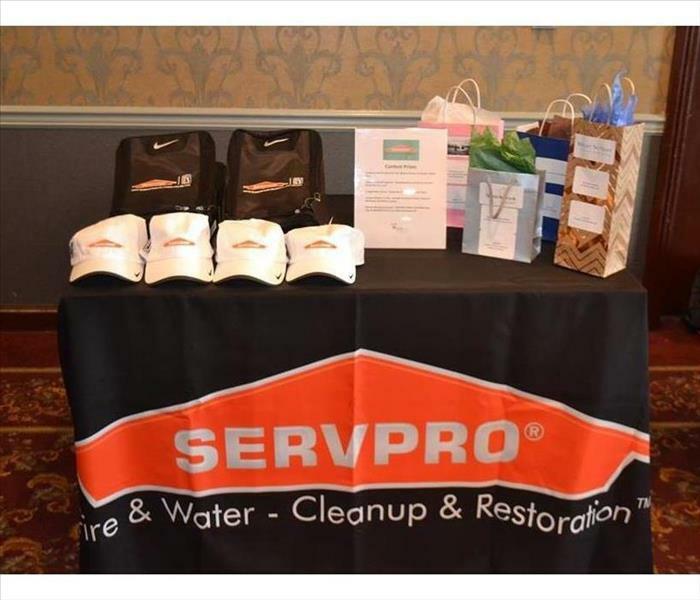 Golfers will tee off Monday, June 5th at Fox Hill Country Club. Back Row Left to right: Ed Troy, Committee Co-Chair, Nationwide Insurance; Loai Daher, Ken Pollock Autogroup; Patrick Doyle Jr, Committee Co-Chair, Anzalone Law Offices; Melissa Caprari, Ken Pollock Autogroup; Chelsea English, SERVPRO Wyoming County/Kingston Township , Gino Lispi, Ken Pollock Autogroup; Cheryl L. Hoover Summa, Eye Care Specialists; Josh Katyl, Allstate Insurance; and Jeffrey Mutchler, Wealth Strategies and Management, LLC. 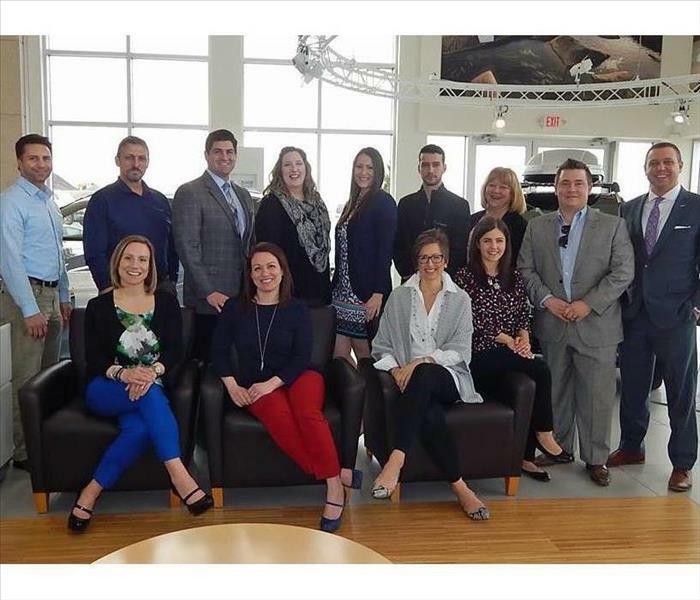 Front Row (seated) Left to right: Amy Marie George Feldman, Association for the Blind; Sara Gorgone Peperno, Association for the Blind; Megan Millo, Ken Pollock Auto Group and Mallory Nobile Strubeck, Susquehanna Brewing Co.
Committee Members not pictured: Chloë Valentina Fanelli, Nawrocki Imports; Christopher Hetro, Borton-Lawson; Mary Kate Lambert, McCarthy Tire Services; Whitney Pollock Callahan, Newport Aggregate; Jason Reilly, Berkshire Asset Management; Kady Schwartz, Fortune Fabrics and Brian Stahl, Hourigan, Kluger & Quinn. 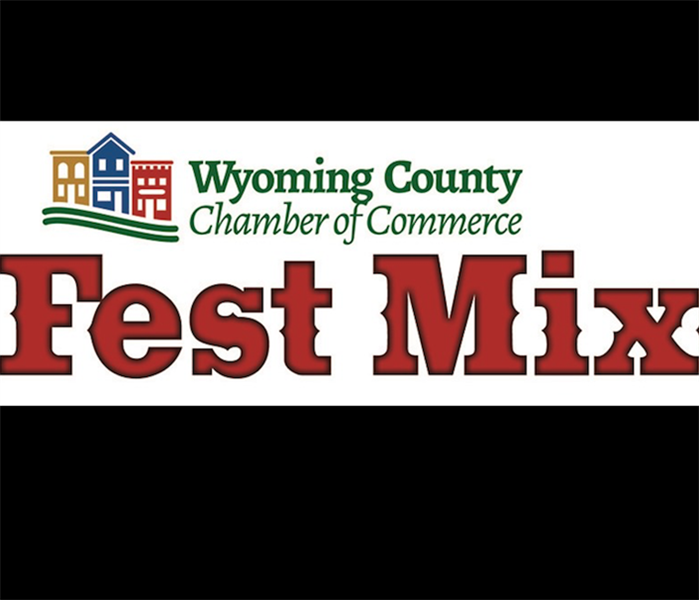 The date has been set for the Wyoming County Chamber of Commerce Fallfest Mixer! Thursday evening, September 28, 2017 at Shadowbrook Inn & Resort. This event will bring together business professionals from companies large and small for an evening of camaraderie, food & entertainment! Join us, as we are a very proud Chamber Supporter Sponsor of this event! 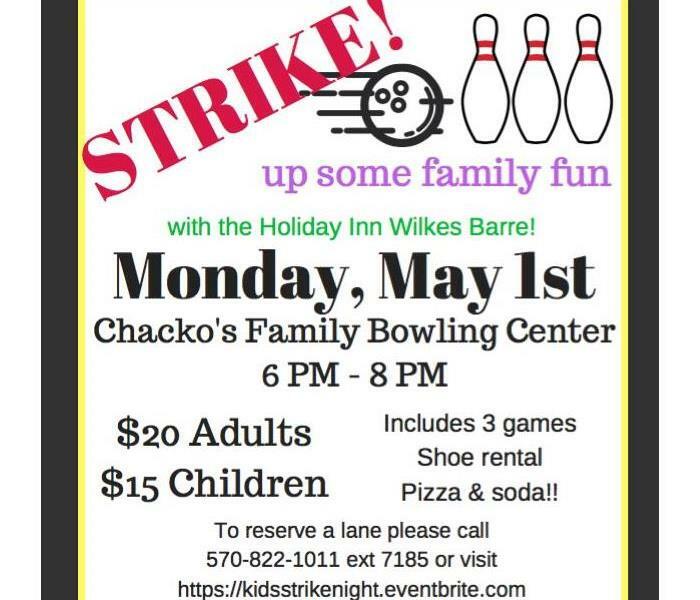 Thank you, Holiday Inn Wilkes Barre for giving us the opportunity to sponsor your upcoming "Strike Up Some Family Fun" event at Chacko's Family Bowling Center on Monday, May 1st! All proceeds will benefit Give Kids The World. Join us, We hope to see you there! Can't Wait until June 5th! 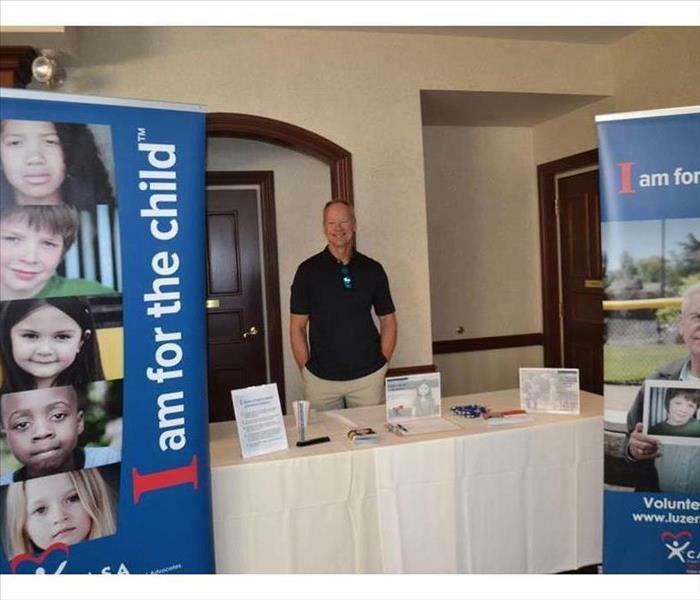 Thanks, Greater Wilkes-Barre Association for the Blind for having us as a Showcase Sponsor in the 5th Annual Chip in for Sight Golf Tournament! 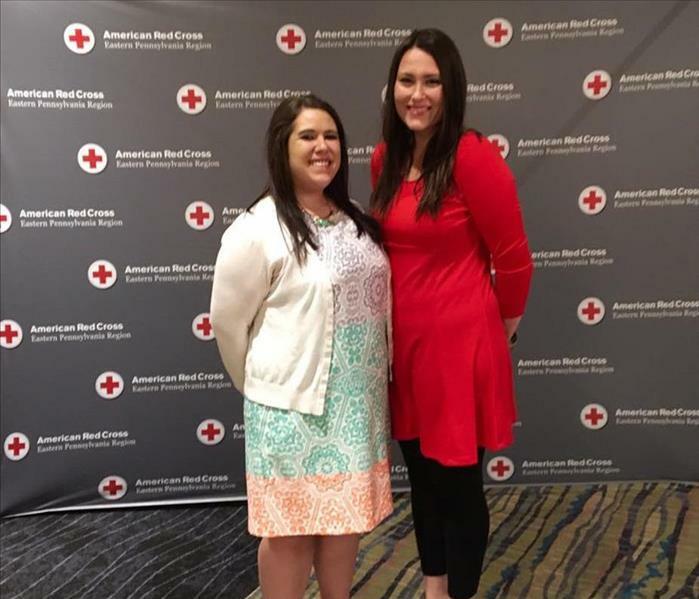 Celebrating 100 years of the American Red Cross Northeastern Pennsylvania Chapter along with our amazing everyday heroes. 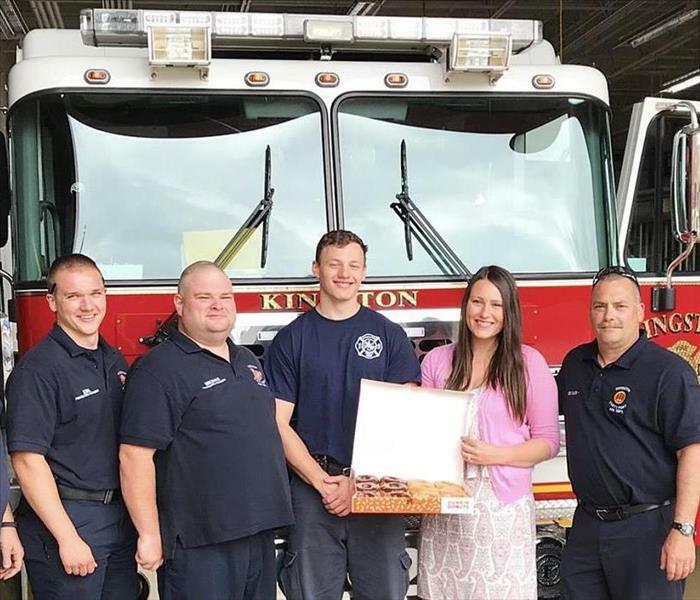 Thank you for your service to our community! 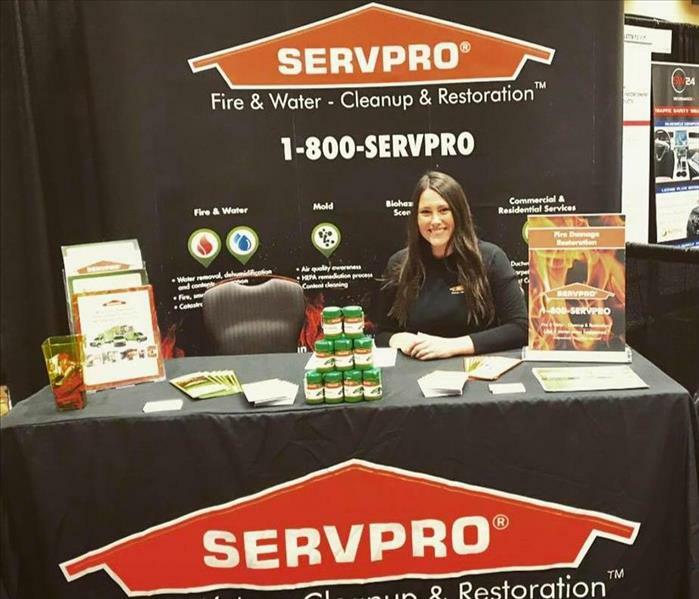 SERVPRO Cookies for our amazing clients! 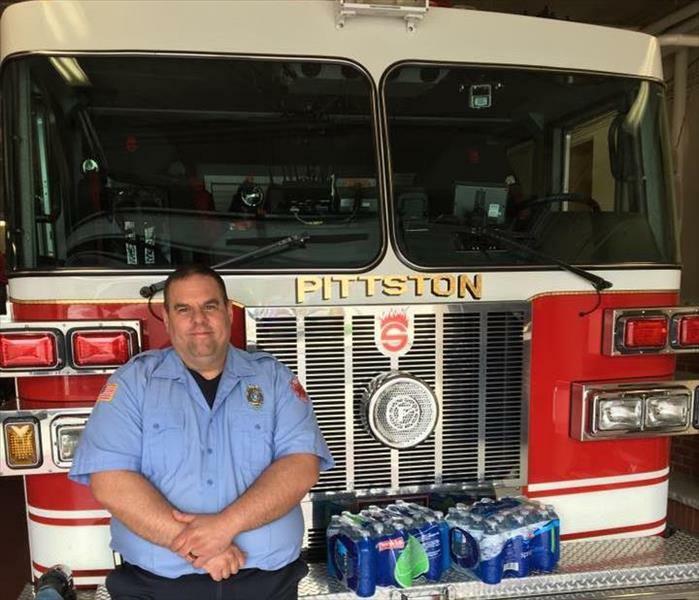 Partnering with the NEPA American Red Cross in honor of Martin Luther King, Jr. Day to install up too 1,000 smoke detectors in homes throughout Wilkes-Barre. 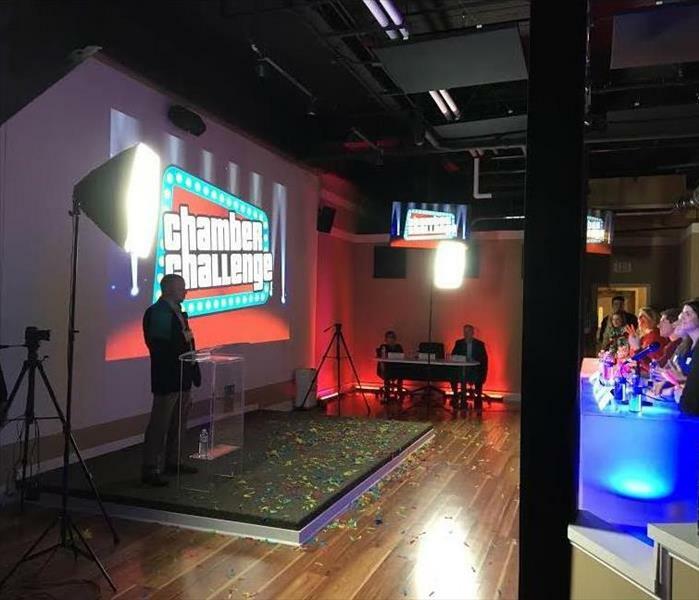 Fun Chamber Challenge with the Greater Wilkes-Barre Chamber of Commerce! 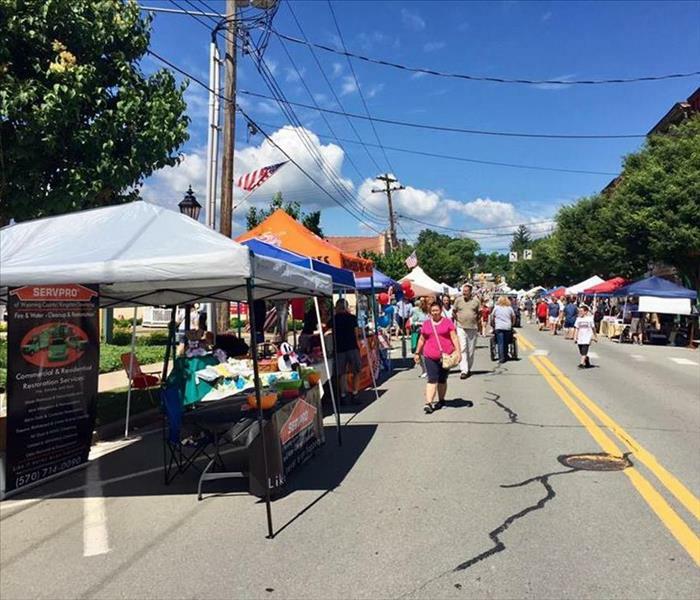 Trivia on Wilkes-Barre landmarks, organizations, and charities. 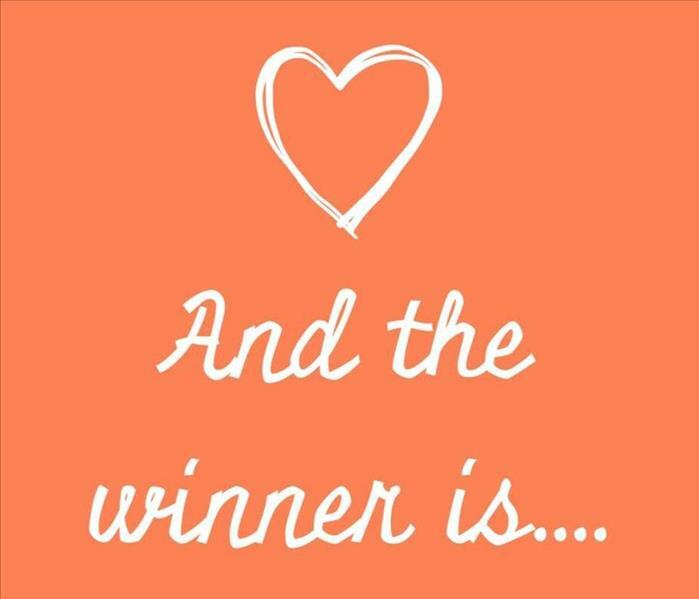 Congratulations to Nicole Smith, the winner of our Random Acts of Kindness giveaway! Thank you to everyone who liked and shared our post! ?? 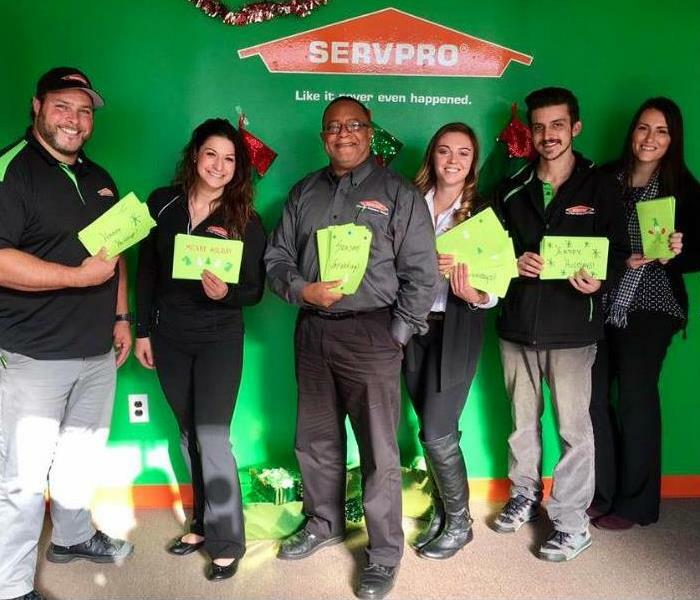 Teaming up with SERVPRO franchises to create holiday cheer for service members and veterans. 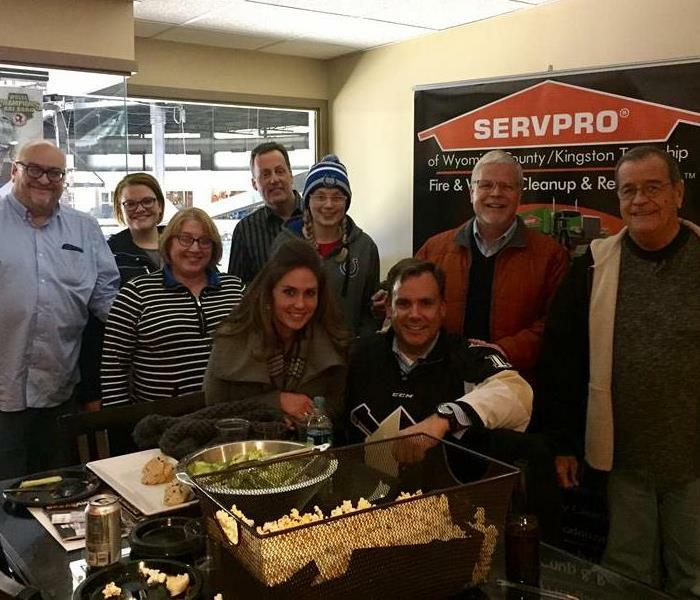 Thanks to our friends at Flock Insurance for joining SERVPRO of Wyoming County/Kingston Township for a Suite Night with the Penguins!